Headphones are the unavoidable accessories for the majority of the population, especially young people and businessmen. This is the fact and we can do nothing about that. Modern global living conditions (which mostly refer to the living conditions in big cities) dictate behavior rules and create our lifestyle. To be honest, it is quite difficult to survive crowds, noise, commuting, etc. Music makes everything easier and everyday activities like walking through the noisy city, riding on crowded buses or using metro are not the exception. If we benefit from a piece of technology, we shouldn’t stop using it because it can harm us at some point. Everything has its advantages and disadvantages. The point is to become aware of the potential damage and try to avoid it as much as possible. That is, in fact, the main idea of this article. In the text below, we are going to reveal if headphones really affect our hearing. We will also try to explain how they do that and show you how you can prevent health problems caused by using headphones. How Do Headphones Affect Our Hearing? The impact of headphones on hearing loss has been analyzed for a long time now. Some studies claim the impact is significant and that the most endangered groups are young people (young adults and adolescents). That is highly possible because those groups have the least tolerance for noise caused by cars, other people talking, etc. Hearing problems are more common than we even imagine and they manifest in different ways. The most common problems are the inability to hear sounds well and specific buzzing in ears and head that is also known as tinnitus. If you start to lose your hearing abilities and you use headphones a lot, your hearing problem is probably caused by loud music you are constantly exposed to. And not only that. Apart from the volume, your ears suffer because the loud music is too close to your ears. Sound waves come out from your headphones and enter your ear. Because of that, your eardrums vibrate and those vibrations are transmitted to the inner ear and the specific chamber (cochlea) filled with fluid. The vibrations make small hairs in the chamber to move and that enables you to hear the sound. The only problem is the loudness. The louder the music, the stronger the hairs’ movements. Constant excessive movements can cause the hairs to deform and be unable to recover their original position, at least temporarily, which causes hearing disability. If the hairs don’t manage to recover, you lose your hearing forever. On the other hand, constant exposure to loud music can cause the appearance of some kind of buzzing. The noise is present only in your head and other people can’t hear it. This is called tinnitus and many people suffer from it. Just like the hearing loss, tinnitus can’t be cured (only treated), but if you suffer from some less serious forms of tinnitus, you may be able to get used to live with it. Sadly, some people can’t and in those situations, tinnitus can cause anxiety and even insomnia. Apart from loud music, tinnitus can be caused by different kinds of ear infections, which are caused by prolonged headphone use. When you use headphones for hours without taking them off, your ears and your skin can’t breathe. That leads to the excessive accumulation of earwax and the appearance of some infections, and eventually to tinnitus. When we speak about the negative impact of headphones, we have to mention that high volumes aren’t the only thing that can lead to hearing loss. The time/length of exposure to loud music is also very important just like the distance from the sound source. The sound of 85 dB is approximately equal to the noise that city traffic makes. Sound this loud can be considered safe if listened for maximum 6 hours constantly. Anything louder than 90 dB is considered dangerous, especially if you are exposed to those sounds longer than 1h. If we add that many headphones can produce 120 dB sound, it is getting more obvious why it is important to listen to music carefully. One of the biggest problems is the fact that many parents use headphones to keep their small kids occupied during traveling or any other longer activities. Many manufacturers claim they limit the loudness of their headphones and call them safe headphones. Sadly, most of them are all but safe. All these things can confuse us and make us wonder how can we know if the certain volume is safe for us or not. Most of us aren’t experts and the only safe thing to do is to ask other people if they can hear that we are listening. If people around us can hear the music, we have to low the volume down. What Can We Do to Lower the Risk of Hearing Loss? 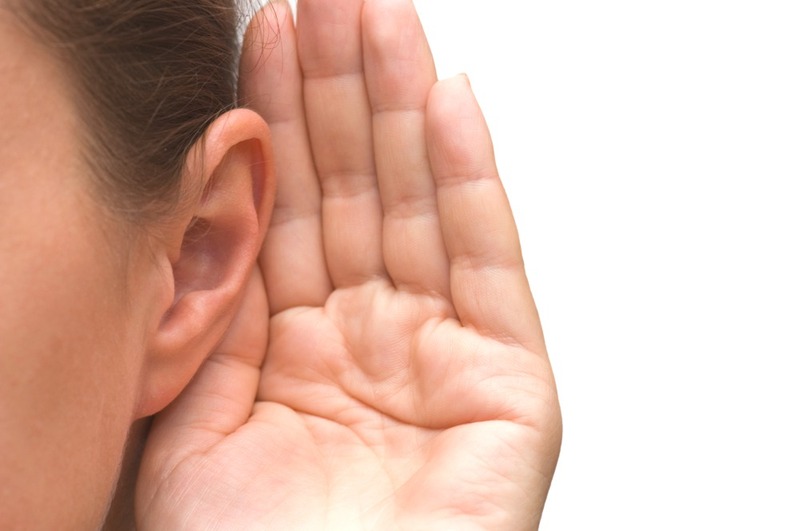 As the hearing problems aren’t curable but only treatable, it is very important to try to avoid them. Don’t say you can’t because it is more than easy. Your ears will just need some time to adjust to the new routine. Lowering down the volume is crucial. Most of the hearing problems have their roots in listening to extremely loud music. If you don’t want to think about decibels, you can always ask other people if they can hear your music when they stand near you. Some doctors say that you should always keep the volume at approximately 60%. The second most important thing is to remember to take a break, take off the headphones and let the ears breathe. This has to be done even if your headphones are the most comfortable headphones in the world and they don’t cause any pain even after many hours of wearing. With or without pain, earwax will pile up, some infections might appear and all that can happen even if you’re not listening to loud music. Over-ear headphones may be less practical, heavier and less portable but we can’t deny that they are healthier and safer to use than other types of headphones. Earbuds stick deep in your ear canal and, although you can hear the music louder and get better passive noise isolation, you completely cut the airflow and you expose your body to infections. Besides, over-ear headphones have cups that are more distant from your inner ear than earbuds and that decreases the loudness significantly. Of course, that doesn’t mean you don’t have to take breaks if you’re using full-size headphones. You can benefit from noise-canceling headphones because they block the great amount of ambient/external noise and enable you to listen to music at lower volumes. Active noise-canceling headphones would be better, of course, because they shut out more ambient noise, but even passive noise-canceling headphones (closed-back headphones) can help a lot. At the end of this article, we have to point out some of the most important signs of hearing problems, so that you can remember them and try to avoid greater damage in case you notice any of them. You can’t get rid of the strange sounds in your head that sound like buzzing, ringing or hissing. You can’t understand what are saying people you are talking to, especially in noisy environment and in case the conversation has more than 2 participants. You have begun to listen to music, shows or films on your TV at higher volumes than you had done before. You often get the feeling that other people sound muffled when they speak to you. You often get the feeling that your ears are plugged. We will conclude this article with the answer to the question from the headline. The question was if headphones increase the risk of hearing loss. Our answer is, sadly, confirmative. The important thing to know is that there is no cure for hearing loss. Once lost, it can never be repaired. That’s why we hope you will realize how important this problem is, take listening to seriously and be very responsible and careful when using headphones. If you follow our advice, we are sure you can avoid all hearing problems. Some of them seem impossible to be followed, but if you try hard, you will get used to lower volumes and different kind of listening to music, and realize that this new way can be just as fun as the old unhealthy one.